Born in Paris in 1945, young Pollès often watched and admired his father as he painted with great sensitivity with his preferred medium of oil paints. In 1966 his fascination for painting led him to participate as a painter in an art exhibition at the Ecole des Beaux-Arts de Paris and subsequently left medical school. During his stay in London in 1967, a chance meeting with the Italian sculptor Enzo Plazzotta sealed his fate as Dominique was tutored the basics of sculpture by the master. In 1970 he decided to leave for Italy, settling in Carrara, Tuscany. Within three years his sculptures began to be appreciated and then sold especially by American collectors. The more sculptures he made the larger and more ambitious his work had become. His sculptures bestow a startling sense of volume, contour, and texture suggesting massive, primitive icons rather than contemporary works. The lure of the polished patinas varies from the traditional browns and greens to bright turquoise, rich reds, and cool silver. His subject matter is almost always of the female form with twisting, truncated torsos, emphasizing the curving, sensuous planes of the womanly outline. Considered as the inventor of the “Organic Cubism”, he is immediately identifiable while he is reinventing the interpretation of the fullness of flesh through a new and personal mythology. 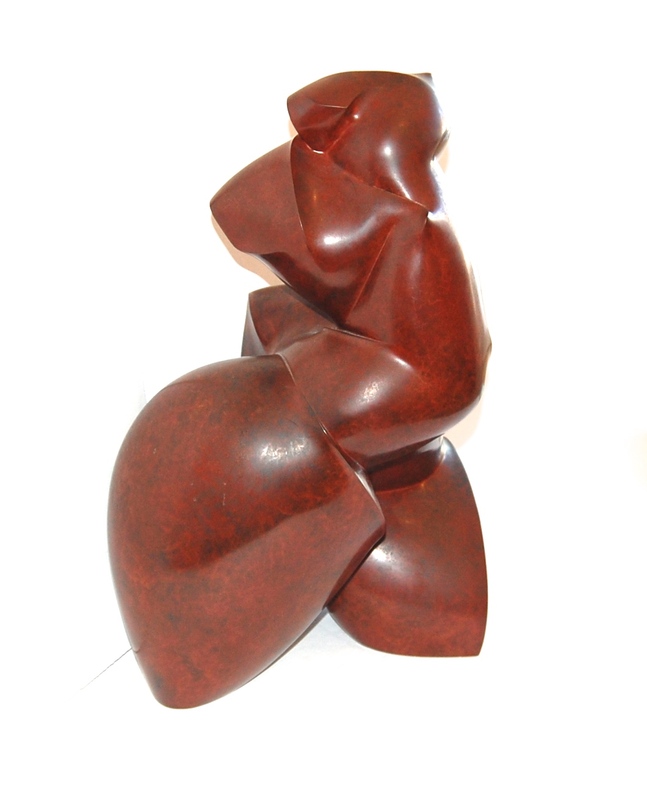 His creations are a blend of Brancusi’s purity, Henry Moore’s figurative abstraction and Modigliani’s lines and forms. In 1980 he was awarded the Pascal Bigel by the Rodin Museum in Paris and seven years later the work ‘Great Ogive’ was purchased by the city of Paris to be installed at the Museum Campredon. In 1997 he received the award of the Florence Gould Foundation in an exhibition organized by the Prince Pierre Foundation of Monaco. He has exhibited in France, Belgium, Florida (USA), Italy and the UK.